Investing in your home is an excellent way to increase its value. However, home improvement projects can quickly add up financially. Home improvement loans are recommended for homeowners who want to improve the look, function, and comfort of their home without breaking the bank. At Fairfax Mortgage Investments in Fairfax, VA, we offer a variety of home loans and financing services, including home improvement loans. 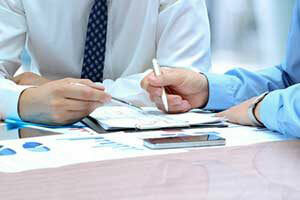 Our loan experts will work with you to build a loan package that suits your goals and budget. Whether you plan to undergo a small bathroom renovation or are preparing for a complete kitchen remodel, a home improvement loan can help make it happen. When cash does not stretch quite far enough, home improvement loans provide homeowners with an opportunity to renovate, remodel, and repair areas in their home by borrowing the money from a bank. Remodeling loans make it possible to build a new addition, add a pool, or install hardwood flooring throughout. Before signing on the dotted line, take the time to compare loan options. 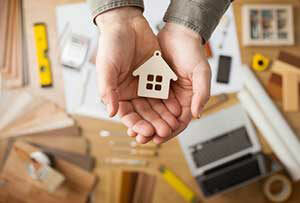 When it comes to home improvement loans, homeowners have two main options – personal or equity-based loans. Home improvement loans that use home equity as collateral are one of the most common loan types and result in some of the biggest loan amounts. A home equity loan is a fixed amount of money that is borrowed against the equity of your home. These fix-rate installments result in equal monthly payments over a fixed period of time. Personal home improvement loans are another option for homeowners who want to make costly repairs or renovations. These loans are not secured by collateral and are therefore known as unsecured loans. Like equity loans, personal loans typically have a fixed rate and are paid back in equal installments over a period of time. 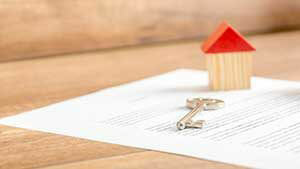 Interest rates on these loans are usually determined by the borrower’s credit score and history. Not all types of home improvement projects require you to take out a loan. However, when a project is expected to be highly costly, it can be beneficial for your wallet and peace of mind to acquire the funds from somewhere other than your pocketbook. Many homeowners also choose to apply for a home improvement loan when they are dealing with a time-sensitive project, such as an important remodel before selling a home. Even if you do have the cash, wait before you rush into a remodel project. Before even thinking about using your cash reserves, you should have at least six months of emergency funds in your savings account. The last thing you want to do is spend every last cent you have on a major home improvement project. If you want to avoid tapping out your savings, our loan experts at Fairfax Mortgage Investments can set you up with a home improvement loan that covers the cost of your project while providing you with manageable monthly payments. Fixing up your house is an effective way to improve its appearance and comfort while also increasing its resale value. Choosing to use a home improvement loan to fund your next project offers several key benefits. One of the biggest advantages of going with a secured home improvement loan is the lower interest rate compared to an unsecured loan. As a result of the lower interest rate, you can also expect to have a lower monthly payment. If money in your household is tight, a secured loan can provide the most optimal terms. 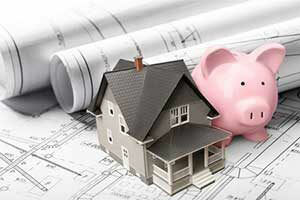 With a secured home improvement loan, you also get the benefit of flexibility. You get to decide exactly how you spend your money. Maybe you want to take down a wall to make your bedroom larger. Or perhaps you want to install all new cabinets and countertops in your kitchen. With a flexible loan, you get to choose to complete whichever home improvement projects are most important to you. There may also be tax benefits by choosing an equity-based loan. If you itemize deductions on your tax return, you may be able to deduct the interest you pay on the equity loan. Obtaining a home improvement loan is easier than ever. If you are a homeowner in Northern Virginia, Maryland, or Washington DC, Fairfax Mortgage Investments is your one-stop-shop for home improvement financing. When you contact us about applying for a loan, we will help determine your eligibility based on the total cost of your home improvement project, your credit score and credit history, and your current income. In some instances, an appraisal may be needed to determine the value of the equity if you are choosing to take out an equity-based loan. Next, you will need to gather all necessary documentation including proof of employment, proof of any supplemental income, and tax-related documents for the last several years. Financial statements help us pre-qualify you for a loan. Once you become pre-qualified, you can review the loan details to ensure that the terms are in line for what you need to cover the project. Also look at the interest rate and length of the loan. While a lengthier loan may result in smaller monthly payments, it also means more money paid in interest over the life of the loan. If you choose to take out a smaller loan, you may need to come up with the remaining cash on your own. Homeowners may apply for a home improvement loan for a variety of reasons, such as remodeling, repairs, or essential updates. At Fairfax Mortgage Investments, we aim to help homeowners create the home-sweet-home they have always imagined by providing access to the necessary funds to make it happen. With more than 34 years of experience in the business, our loan experts have the skill, training, and experience needed to assist borrowers through every step of the loan process. To get started, apply online or call our office at (703) 214-7255.